Franca Ela Consolino (éd. ), Ovid in Late Antiquity, Turnhout, 2018. 2017 is the 2000th anniversary of Ovid's death, and Ovid in Late Antiquity aims to mark the occasion. This book embodies a specific approach to Ovid's oeuvre, which is not analysed in and of itself, but rather in its role as a wellspring of inspiration to which later authors would return time and again. 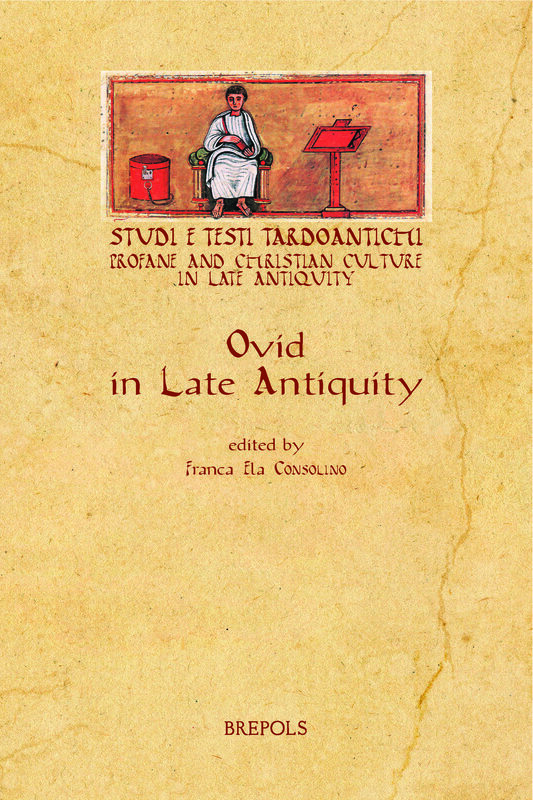 Covering the work of a number of authors, who found their way back to Ovid via different methodological pathways, the research distilled in this book is geared towards exploring the ways in which the authors of late antiquity interacted with the poet of the Metamorphoses and with his immense, multifaceted output. The choice of this approach arose out of an awareness that the presence and influence of Ovid in late antiquity constitute aspects of the Ovidian legacy that would benefit from more in-depth exploration. The essays in this collection are intended to help bridge this gap. F. Dolveck, Que dit-on (ou ne dit-on pas) d'Ovide dans l'Antiquité tardive　? A. Stoehr-Monjou, Ovide dans l'œuvre profane de Dracontius: une influence paradoxale?